Former player and club legend Ole Gunnar Solskjaer was brought in as the temporary manager of Manchester United after the sacking of Jose Mourinho, following the devastating loss to Liverpool in December 2018. His appointment raised a few eyebrows since he doesn’t have the experience of managing a top-ranked club. His previous record with Cardiff hasn’t been a thrilling one either. The Norwegian boss has been tasked to temporarily fix the Red Devils’ dilemma, and was only expected to be at Old Trafford until the end of the season. However, Solskjaer has done more than what is expected of him. Manchester United have won 11 of their previous 13 fixtures under the new boss. Their only defeat came from a Champions League fixture against Paris Saint-Germain. Marcus Rashford definitely excelled under the new boss. During Jose Mourinhi’s spell at United, he put either Ibrahimovic or Romelu Lukaku on the front, forcing Rashford to play as winger, which wasn’t really his forte. This lack of positional stability affected his performances which resulted in him doubting his ability as a player. Under Solskjaer, he has been notching up countless goals and provided some crucial assists as well. The Norwegian boss utilised Rashford’s ability to pick up pace and power to get past defenders. Solskjaer has been playing in a 4-3-3 formation in most of their matches, but he has been changing it to a 4-4-2 diamond when necessary. Their recent victory against Chelsea is a good example, using midfielder Juan Mata behind two forwards. Paul Pogba is no doubt one of the best midfielders in the world. However, no one has really seen his full potential after numerous heated clashes with Jose Mourinho. Because of this, the French international was mostly sidelined during matches and was even considering to leave the club. 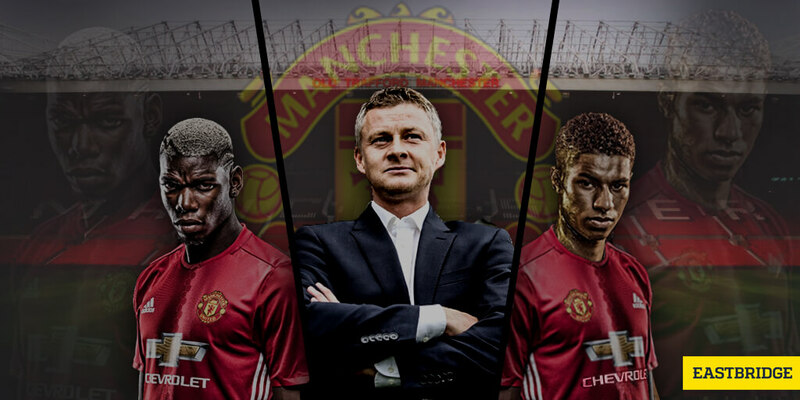 Ever since Solskjaer’s appointment, Pogba has been quickly included as one of the first team regulars. He’s been playing the best football of his career, notching more than ten goals in the Premier League so far this season. He has been United’s best player recently, and it looks like he won’t be stopping any time soon. Jose Mourinho has a habit of criticising his own players publicly. However, Solskjaer’s approach is a bit different, but much more better. He’s making the effort to connect with his players, making time to speak with each of them. In press conferences and/or post-match interviews, he can be heard praising everyone from Paul Pogba and Marcus Rashford to Eric Bailly and Anthony Martial. Apart from this, he gives his players the freedom to be in their respective positions and express themselves in order for them to bring out their full potential. Ever since Solskjaer’s arrival, the Red Devils have been happier and deadlier in the field. Big fan of Manchester United’s new boss? Why not give him an Asian handicap boost when you create an account with our partner VOdds! Have access to the best odds and prices available in the market when you sign up! You can also place your bets through our Skype betting service.